George E.Wolf was appointed as circuit judge of Division 11 on August 16, 2017. At the time of his appointment, Judge Wolf was a partner with the law firm of Shook, Hardy & Bacon where he had more than 30 years of experience litigating complex civil cases. Many of the cases he litigated involved engineering or technical issues. He chaired the firm’s division of 200 general litigation attorneys for eight years, and served four terms on the firm’s executive committee. In 2016, Wolf received the firm’s Mosaic Award in recognition of his efforts to advance diversity and inclusion at the firm. While in private practice, Judge Wolf was very involved in civic organizations. He served 10 years on the Board of Commissioners of the Kansas City Port Authority, including four years as chairman. He also served on the boards of the Downtown Council of Kansas City and the Kansas City Streetcar Transportation Development District. In 2015, Ingram’s Magazine recognized him as one of the “50 Missourians You Should Know." 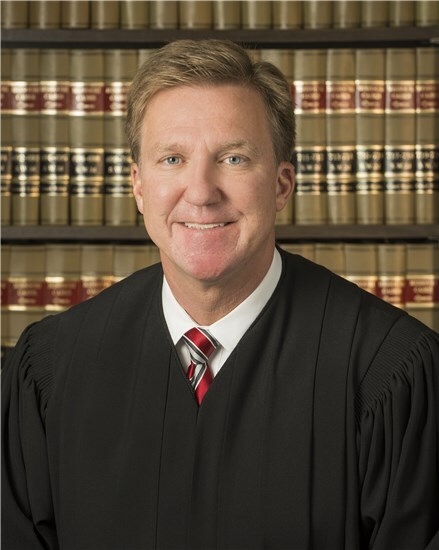 Judge Wolf earned a law degree from Northwestern University in 1986, and a Bachelor’s degree in Civil Engineering from the University of Missouri-Columbia in 1983.